Welcome to Seattle's premier transport service for friends and family with special needs! 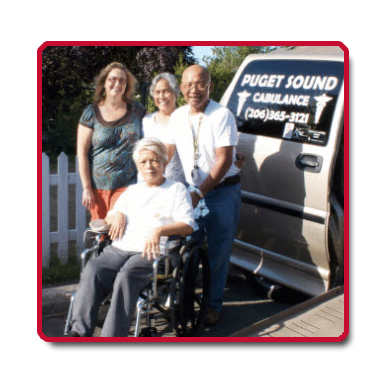 Guardian Puget Sound Cabulance has an unmatched dedication to customer satisfaction, excellence in service, and an unparalleled friendly attitude. We seek to treat each client with the respect and care that we would for our own family. Please call us today to schedule our expert service! Meet our staff and read testimonials from happy customers. We can transport our customers for many reasons including medical appointments and leisure transfers. 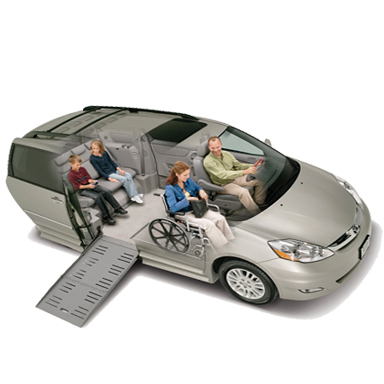 Our vans are equipped to provide disabled and wheelchair assistance.